If you’re like me and have seen friends with gorgeous, voluminous waves and asked, “How did you curl your hair?” and hear the response, “With my flat iron. It’s the only way I do it,” but any time you try that technique, you singe your hair/straighten it to the point of oblivion and/or just throw your flat-iron against the wall (just me? ), then you need to keep reading. 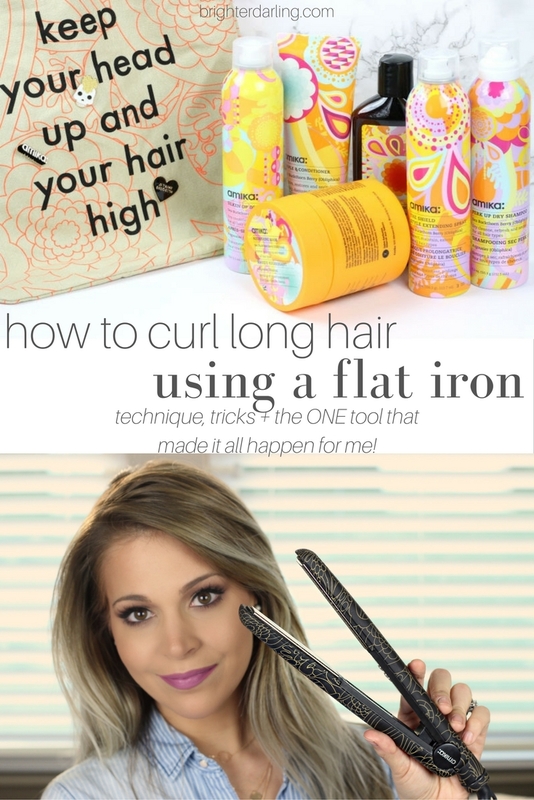 I’m finally sharing a flat-iron curling tutorial for long hair. It’s taken me a few years, but I’m sharing little tricks and a pictorial to show you step-by-step how to get it done without ending up bald. Guys. You know I have no filter and I’m always upfront about these things, but this post is in collaboration with amika. I first learned of the brand over a year ago when I was doing research for a new texture spray and ended up falling in love with their un.Done texture spray. It smells amazing, the bottle size is generous (comparatively) and gives my coarse hair amazing grit, volume and a little bit of style hold. I wrote a whole post about it here. Anyways. This brand is currently sold online at Sephora and a couple mini sizes are in stores in the aisle of doom (checkout). It’s also sold via Birchbox.com. But they TOTALLY deserve more attention because everything I’ve tried has been incredibly effective for my thick, coarse, dry and color-treated hair. 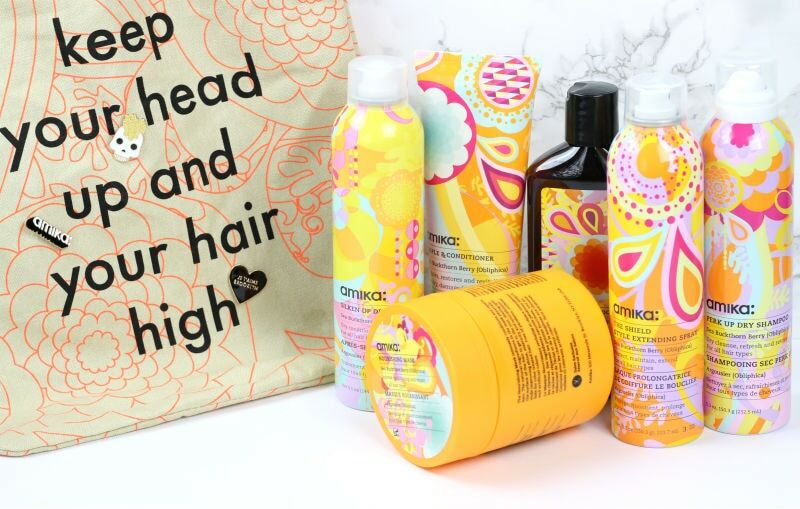 Please do yourself a favor and try this adorable, colorfully-packaged brand next time you’re shopping for hair products. I promise you won’t regret it and you’ll be a huge fan like me. I’m even MORE of a fan because if it wasn’t for amika’s digital titanium glide styler* (flat iron), I wouldn’t have mastered this flat iron curling technique that has been driving me nuts for years. 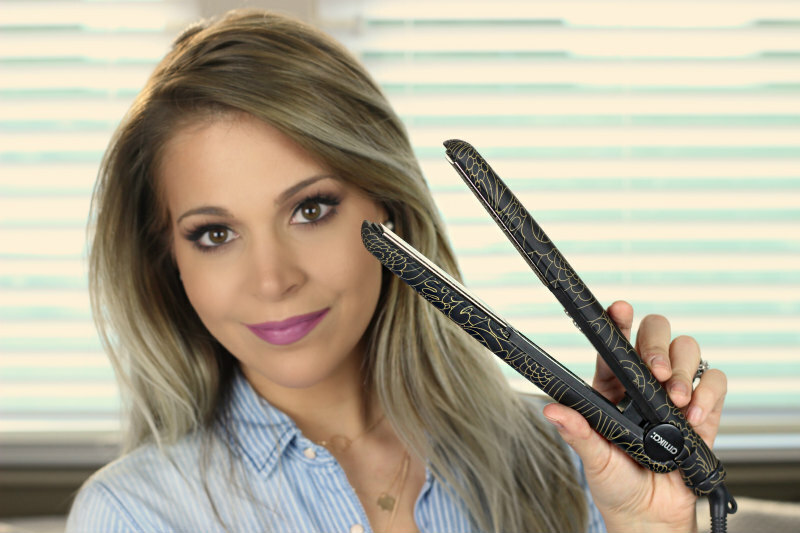 The tool features super-smooth titanium plates that never catch/snag my longer hair (when curling or straightening), the heat reaches extremely high (450*… although I don’t go higher than 420*), it has an automatic shut off (ALL HOT TOOLS NEED THIS!) and uses negative ions to seal the cuticle for shine and frizz-free results. 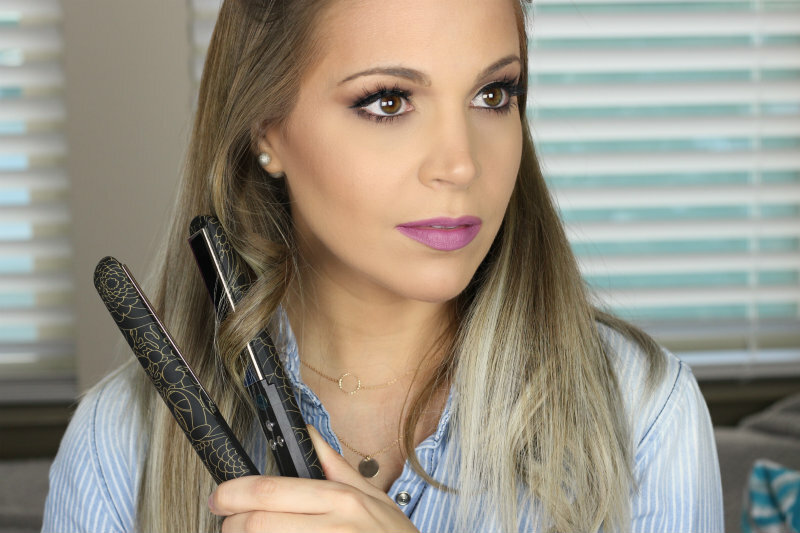 My favorite feature of the amika Digital Titanium Glide Styler** is the overall shape of the flat iron. I was trying to curl my hair with my former tool (that’s about 10 years old) and the shape of it just wasn’t rounded enough to effectively curl my hair. The older flat iron had a plastic finish, whereas my amika tool has a rubberized/smooth (kinda like a NARS makeup compact) finish which allows the hair to grip better as you’re curling. Hopefully, these products and tips will help you, as well! First of all, I usually curl my hair around day two-three post-washing, so I always need a bit of dry shampoo. The amika formula absorbs any greasies and also gives some volume, texture, and amazing smell without that extra dirty feeling. The dry conditioner is a new top favorite for me because it prevents my dry shampoo hair from feeling, well, TOO dry at the ends. It makes it fluffy, soft and full of body. A total must try! This was a biggie for me. Because the flat iron has that rubberized texture, it was much easier for the hair to stay where I wanted while gliding down. But more importantly, for my hair, I needed to move the iron down slower (which was harder when the hair was falling out fast). If I moved the iron too quickly, it didn’t curl. I’d say for my hair length, I would go from mid-shaft to ends in about 3-4 seconds per section. Another tip: if your hair is even longer than mine, the piece may fall out of the iron before you reach the end. This is ok. Just clamp down on the hair where it fell out and continue the technique. I didn’t lose the curl whatsoever on the few pieces I had to do this on myself. The Shield Style Extender* is not only going to keep whatever style you have intact longer (straight or curled), but also serves as a heat protectant, which is very important when curling the hair since the heat is on the strands in a pretty concentrated way. Now when you travel, you don’t need TWO hot tools! You can straighten your hair or curl it easily. 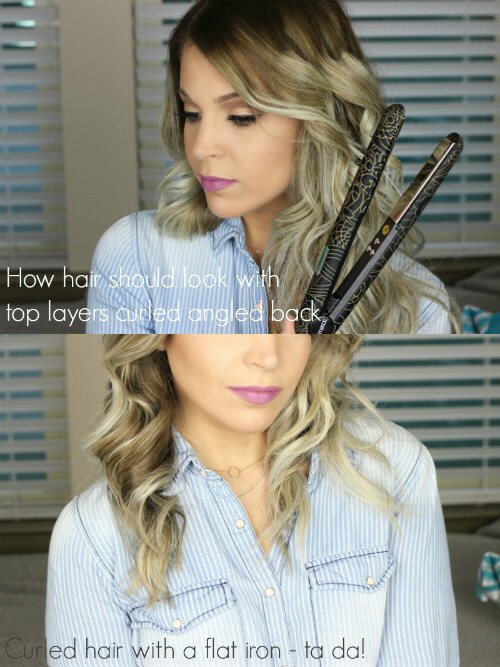 My biggest takeaways from learning how to do this flat iron curling technique are to find a flat iron that has a more rubberized texture, a more rounded (less square) shape and to not move as quickly. Definitely add any of these products to your Sephora VIB Sale Wish List or get an early start on your holiday wish list. 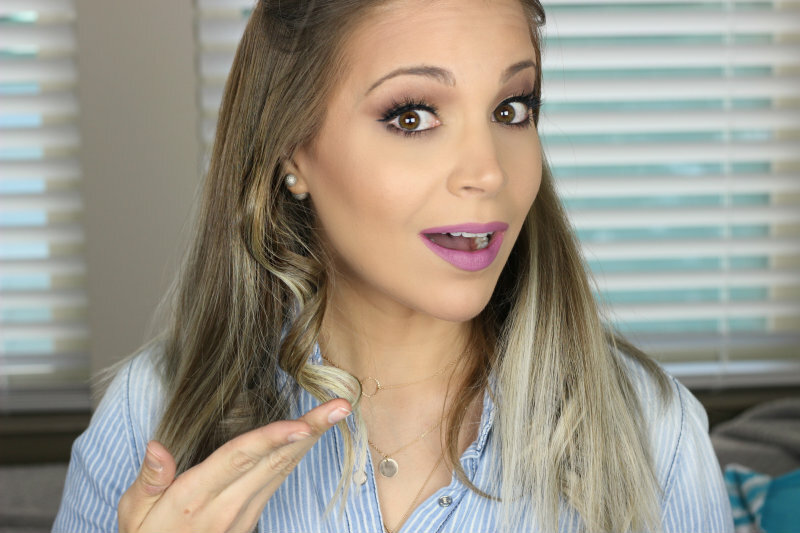 Have you had troubles curling your hair with a flat iron? Let me know in the comments and I will try to test some tricks to get it working for you 🙂 If you’re a master flat-iron-curler, leave your tips below to share with me and my readers, too! "How I’m Stepping Up My Style Game…"